Around 34 million years ago, at the Eocene-Oligocene Transition (EOT), the Earth was undergoing a period of global cooling. Antarctica changed from a green forested continent to the land of ice we know today. The cooling was partly caused by declining atmospheric carbon dioxide levels, but it also coincides with changes in the geography of the Southern Ocean. Around 55 million years ago, CO2 levels rose during the Paleocene-Eocene Thermal Maximum (PETM). Weathering of the newly-building Himalayas caused CO2 levels to begin to fall. CO2 in rain makes a weak acid, which causes chemical weathering (especially of carbonate rocks like limestone, but of other rocks as well). Rivers carry the carbon compounds down to the oceans, where various processes (such as the formation of calcareous shells by organisms) eventually deposit the material on the ocean floor. This is the long, slow, part of the carbon cycle. Antarctic glaciation began when CO2 level fell to around around 750 ppm, and spread more widely as the CO2 level continued to fall. So...... what could be the future for Antarctica as global warming continues? CO2 concentration in the atmosphere now is just over 400 ppm, but no one expects Antarctic ice sheets to melt entirely at any point soon. If CO2 stopped rising now, ice would continue to melt from ice sheets and glaciers for a very long time. There would still be a great deal of ice in Antarctica... the process would stabilise at a certain level of ice coverage. 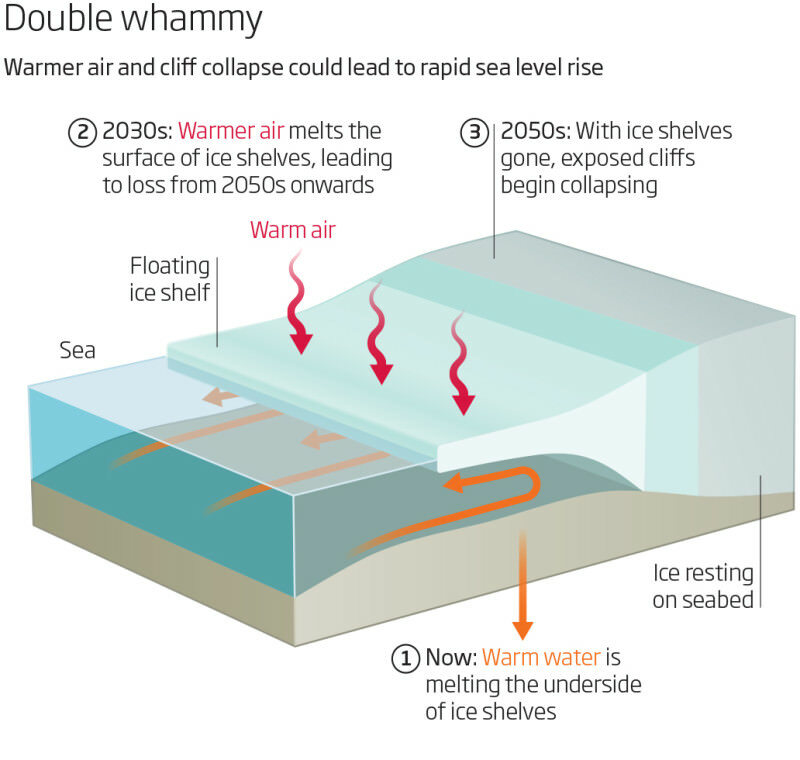 Even melting a fraction of Antarctica's ice would raise sea levels by a significant amount. However, if CO2 levels get to over 750 ppm, eventually Antarctica could indeed be ice-free. It would take time, as it takes a lot of energy to turn ice at zero degrees C into water at zero degrees C.... and the ice needs to warm up to zero degrees C before that. Researchers have discovered this might take thousands of years, but would eventually happen if all the fossil fuels were to be burned. Their analysis suggests that this would cause sea level to rise by 3 metres each century during the first thousand years. 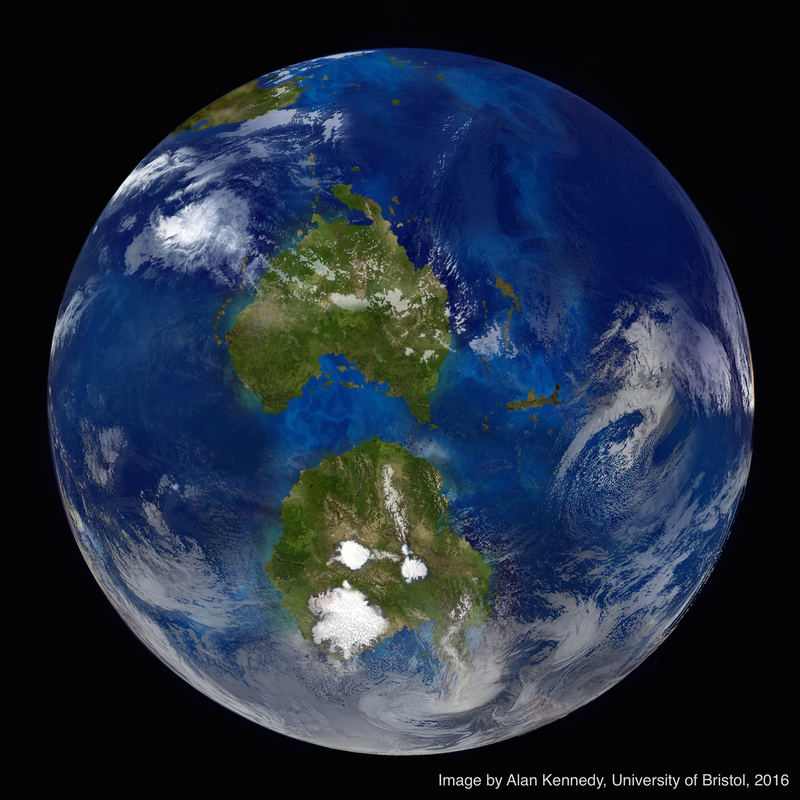 If all of the Antarctic ice melted, sea levels around the world would rise about 58 metres.